Those words represent a big milestone in your child’s life. Baby teeth have to fall out to make way for permanent teeth to grow – a process that continues until the final molars (also called wisdom teeth) are in. This can take until your child is anywhere from age 17 to 21. A child’s 20 baby teeth, which often come in by age 3, usually fall out in the same order they came in. That means the lower center teeth (lower center incisors) are usually the first to go, around age 6 or 7. The top center pair is next. A baby tooth typically doesn’t loosen until the permanent tooth below pushes it up to take its place. But it is possible for kids to lose a baby tooth before the permanent tooth is ready to erupt, especially because of an accident or dental disease. In this case, sometimes a pediatric dentist will put a custom-fit plastic placeholder (spacer) in until the adult tooth is ready to emerge. This prevents future spacing problems. 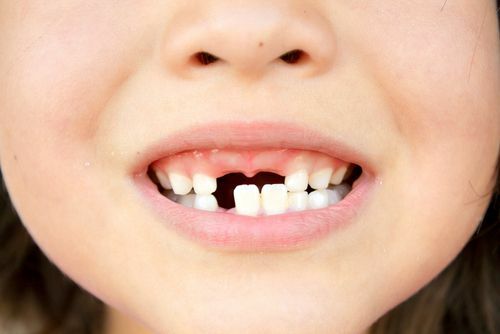 Some children lose their first tooth as early as 4 or as late as 7. Generally, the younger the child was when the teeth came in, the earlier they fall out. If your child begins to lose teeth before 4, consult a dentist to make sure there’s no underlying problem. It’s also possible for a child to reach age 7 or 8 without losing any baby teeth. There’s probably nothing wrong, but it never hurts to check in with Dr Donan, your dentist in Fresno,CA to make sure. Encourage your child to gently wiggle a wobbly tooth. (Some loose teeth can actually be rotated because the root underneath has almost completely disintegrated.) Remind your child not to yank a tooth before it’s ready to fall out on its own because it makes the broken root more vulnerable to infection. The new teeth may look bigger, especially those first few. That’s because they are! Adult teeth also tend to be less white than baby teeth and have pronounced ridges because they haven’t been used yet for biting and chewing. In rare cases, a couple of new teeth come in before the old ones are gone, creating two rows of pearly whites. This is a temporary stage, sometimes called shark’s teeth. If your 6- or 7-year-old complains of soreness in the back of his mouth, it’s probably the first permanent molars coming in. (He has no baby teeth there to fall out first). Ibuprofen or acetaminophen can ease the ache, though it’s unlikely to last long. Brushing is now more important than ever. You’ll probably need to supervise the process until your child is around 8. The American Dental Association recommends using fluoride toothpaste – just a thin smear for kids younger than 2, and a pea-sized dot for kids age 2 and older. Replace toothbrushes every three or four months (sooner if the bristles are frayed) to reduce harmful bacteria and keep them working their best. And make sure your child sees Dr Donan, dentist in Fresno CA twice a year. For questions or if you want to make an appointment you can always contact Dr Donan, Dentist in Fresno at 559 222 – 9923.